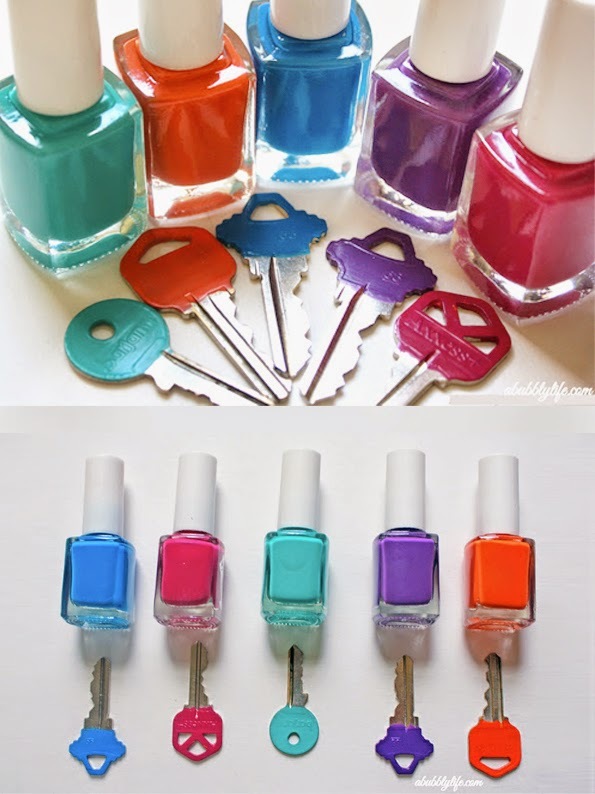 Check out this awesome colour coding keys idea by A bubbly life! Just paint two coats on each side with your favourite nail polish and you're done. No more fumbling with your arms full of groceries and/or kids looking for that key because they all look the same! Love~!